Looking for a great car wash with a variety of packages? 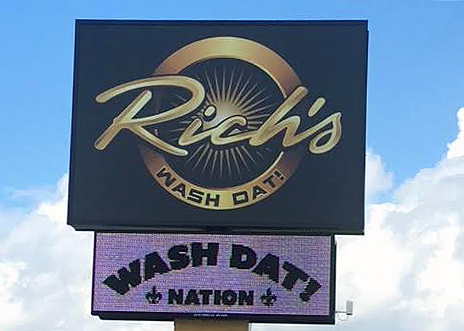 Check out Rick’s Wash Dat at two locations, 4417 Earhart Blvd. in New Orleans and Wash Dat 2 at 3519 Williams Blvd. in Kenner. Both locations are open from 7 am till 7 pm. Packages include everything from a basic Wash, Dry, and Shine for $5 or Hot Wax and Polish for $18 and more. For just an extra $4, you can get a Simoniz Enhanced Shine System added to your car wash. In addition, Wash Dat is offering a current special of 20% off when you purchase a gift card. For further information, visit the website at https://www.richswashdat.com/home.html.